It’s time to fix our love/hate relationship with grocery shopping. You walk into any chain supermarket, and immediately you are hit with all the smells, colors, and advertisements. Pick me, buy me, it can be quite the overwhelming experience. So what do we do? Grab the first thing we see, regardless of the price, and move on. Unfortunately, this can take its toll on our wallets. Harrisonburg’s bargain food supplier, Sharp Shopper Grocery Outlet, takes a different, more affordable approach. It’s a simple concept. We all know that a day at the clothing outlets gets you more for your buck then a day at the local mall. The same applies for Sharp Shopper. When you walk in, be sure to remember one of the golden rules- never judge a book by its cover. The aisles consist of plain brown boxes and crates, but they’re filled with well-known brands all the way from Pepsi to an assortment of cereal must-haves. What Sharp Shopper does is offer products at retail that may have a wrong packaging label, have been overproduced, or have warehouse damage. But hey, nothings perfect right? And they still offer quality at an affordable price, you just have to do the digging! So why choose Sharp Shopper? Not only is it conveniently located up the road on South Main Street (right behind Kline’s Dairy Bar, need I say more), but it really could make a difference in how much you spend grocery shopping. 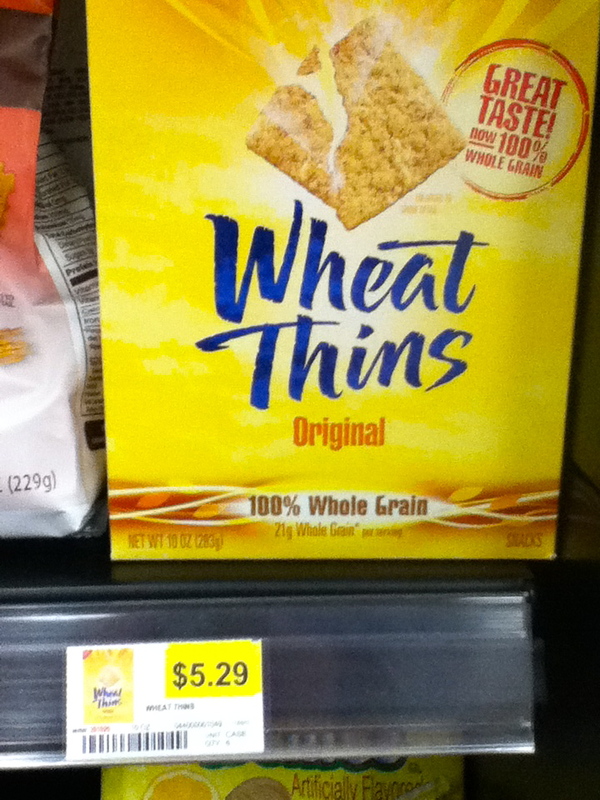 Let’s take a look at a product any serial snacker is sure to have heard of: Wheat Thins. You can use them for a mid-afternoon snack between classes or along side some healthy homemade dip at your next party. But they too can get a bit pricey for such a simple snack. If you travel over to Harrisonburg’s local Food Lion, you can run in and pick up a 10 oz bag of Wheat Thins for the okay price of $3.19. Not bad, not bad. It sure beats the hefty $5.29 it would cost you for the exact same box at Mr. Chips located right on James Madison’s Campus. That goes to show that convenience is not always worth the cost. And then there’s Sharp Shopper. One might not even expect to find Wheat Thins at a grocery ‘outlet’, but there they were steadily stocked when I went to the snack aisle. On top of that, for the mere price of $2.99 you could get not one, but TWO boxes of Wheat Thins, with the expiration date still far away. 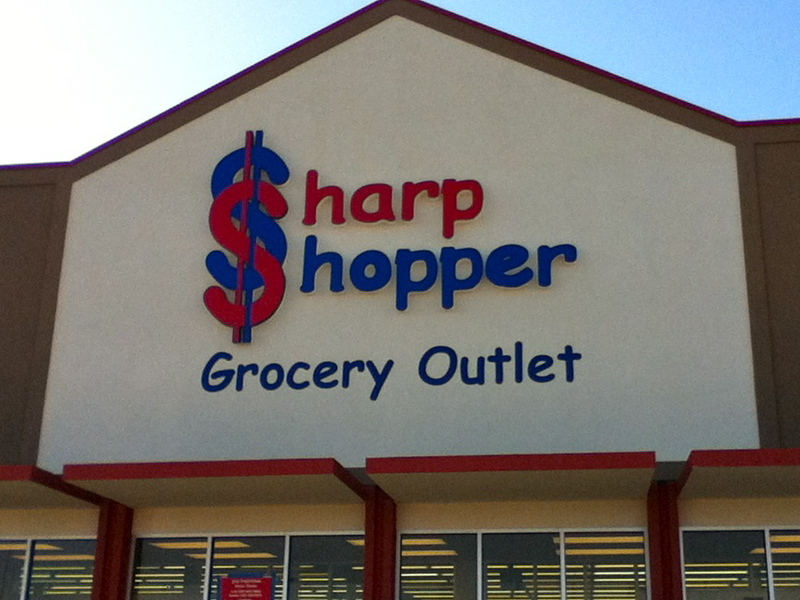 Sharp Shopper has it all. Drinks, paper products, produce, and the list goes on and on. One word to the wise though, be sure to check out the product dating (pdf) for each item. While many items are fresh and ready to go, you always want to double check, and Sharp Shopper encourages it as well. So for your next grocery stock up, give a new place a try. Wheat Thins is among the many items you will be sure to save a few dollars on by switching to Sharp Shopper, and with this economy, we can use every cent!